The VMware Configuration Maximums document is something I reference quite often. One configuration maximum that became relevant for me this week was under ESXi Host Maximums – Storage Maximums – Fibre Channel: LUN ID. According to the document the maximum LUN ID is 255, but what does that mean? Does it mean that you can have a maximum of 255 LUN IDs or the maximum LUN ID number allowed is 255? Two items above LUN ID in the Configuration Maximums document is ‘LUNs per host’. The maximum for ‘LUNs per host’ is 256. Like most numbering in Linux (e.g. arrays) LUN IDs start at 0. This means LUN IDs 0 to 255 are valid and would total 256, the maximum number of ‘LUNs per host’. Looking at the storage side, a very important piece of information would be the maximum number of LUNs per storage system. 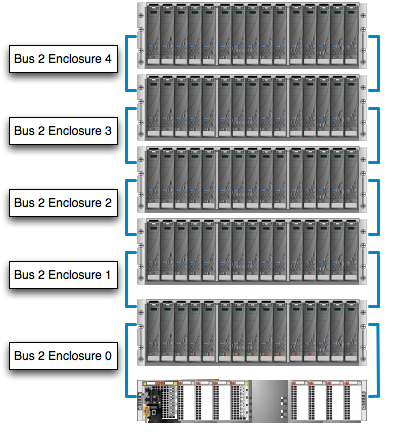 For an EMC VNX7500, the maximum number of LUNs (including private LUNs) is 8192. Since every LUN has to have a unique LUN ID this means on a VNX7500 at a minimum the LUN IDs 0 to 8191 must be valid. So why was I looking at this maximum in the first place?